You're in Top Shape. Shouldn't Your Clothing Be, Too? Sweat the Toxins, Not the Laundry! 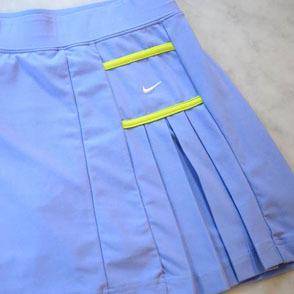 Sweat stains and smoothie spills alike have met their match with the Sport Duo. Our hard-working, eco-friendly solutions preserve the elasticity, shape, and high performance properties of your athletic wear, while getting rid of body odor, dirt, and discoloration. With the fresh crisp scent of orange, eucalyptus, and jasmine, our winning formulas leave your gear smelling sublime and looking brand new. Save 20% this month on the Sport Duo with code GETFIT. Resolve to keep your workout clothes in shape. The Laundress Sport Duo includes our Sport Detergent and Sport Spray specially formulated to clean and preserve high performance fabrics. 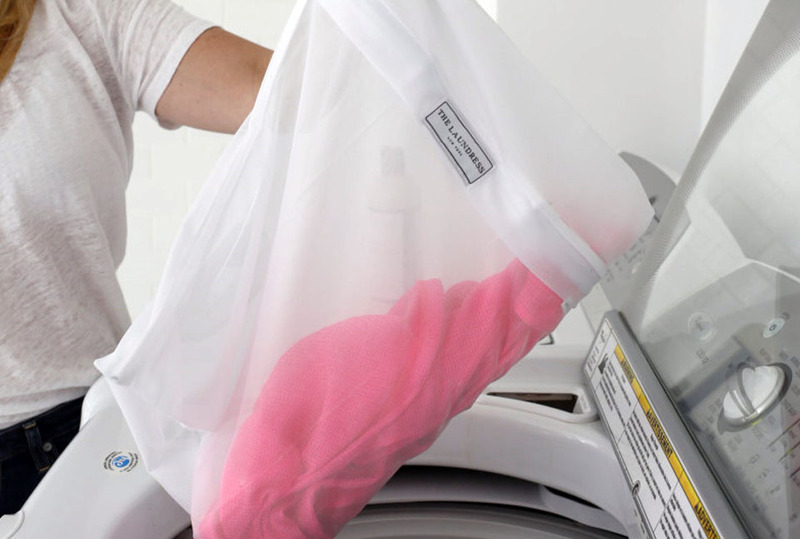 1 Mesh Washing Bag Bundle: Protect delicate or embellished items—anything with reflectors, buttons, or zippers—in the machine with a long-lasting fine mesh bag that won’t catch on the drum. 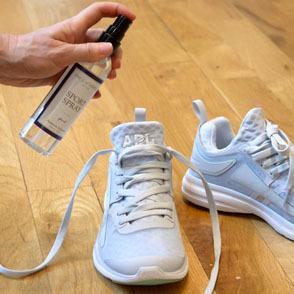 2 Stain Solution: Banish pit stains, grass stains, and anything else that blemishes your workout gear by pretreating or soaking with just a few drops of this powerful solution. 3 Stain Brush: Rather than working a stubborn stain with your fingers, use this brush to effectively treat the target area without harming the fabric. 4 Scented Vinegar: With the powerful cleansing properties of vinegar but without the pungent smell, our fresh-scented proprietary vinegar eliminates odors while leaving behind fresh clean notes of bergamot, lavender, and ylang-ylang. 5 Wash & Stain Bar: Keep this clever stain-fighter in your gym bag to spot treat tricky underarms, delicate straps, and other tough stains when you’re on the go. 6 All-Purpose Bleach Alternative: Chlorine bleach will damage synthetic fabrics and turn polyester and nylon yellow. Our chlorine-free, nontoxic alternative rejuvenates even the dingiest whites and gets colors brighter. Whether you run or rally, cycle or swim, downward dog or slam dunk, our Sport Detergent and Sport Spray keep your activewear fit so you can focus on your fitness routine. That means high-performance fabrics maintain their form and function; swimwear gets thoroughly cleaned of salt, chlorine, and sand; and favorite t-shirts and lucky socks look crisp and smell fresh.